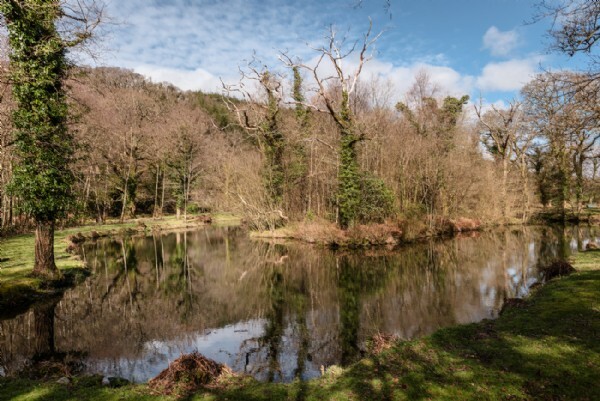 Sat on the shores of the tree-tunnelled River Warleggan in Bodmin Moor, immersed deep within an England saved only for the wild at heart, Damselfly feels almost held in time. 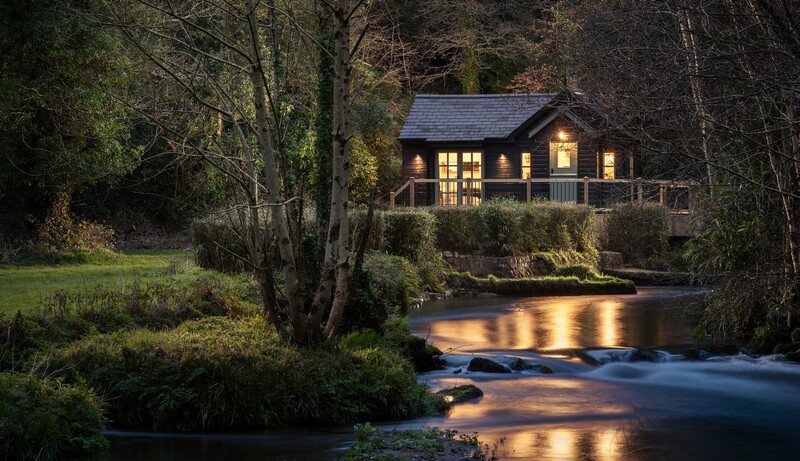 Jewelled dragonflies flutter on by, otter cubs tangle in the babbling waters and tawny owls sing sweet lullabies as the light steals from the trees and night descends. 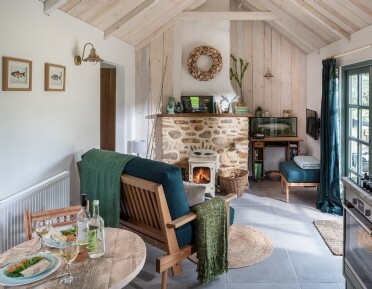 Nestled in the leafy Glynn Valley just three miles from St Neot and burrowed in the crook of two rivers bursting with life, Damselfly offers a self-catering escape where city lights are replaced with scintillescent skies and burning traffic is a thousand miles away. 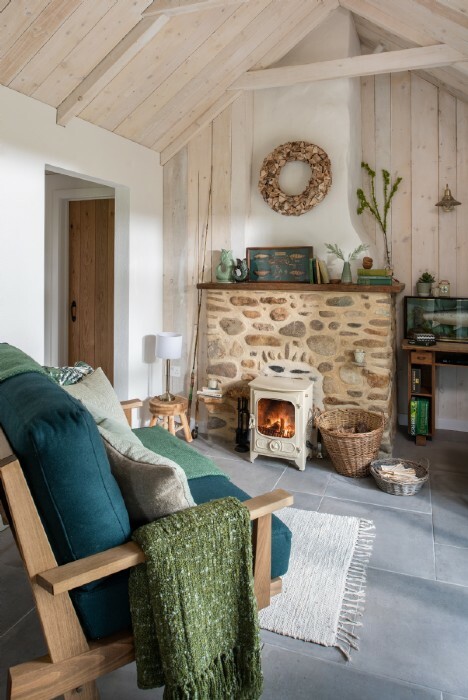 Natural materials and soft greens echo the giant oaks outside, while fluffy rugs and a roaring woodburner ensure cosy nights in the deepest of winter. 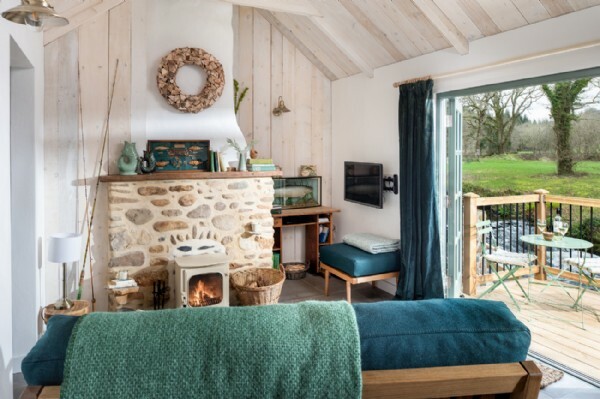 A humble woodland hut turned luxury cabin, spend days here bird watching from the sun-drenched decking and nights fishing for sea trout by the light of the moon. 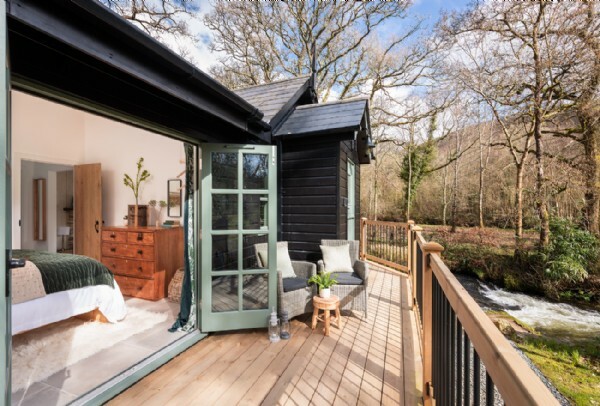 With French doors leading out to a sun-drenched decking bordering the river, Damselfly’s king-size bedroom allows nature’s sounds and sights to wash away the rhythm of life and lull into the deepest of slumbers. 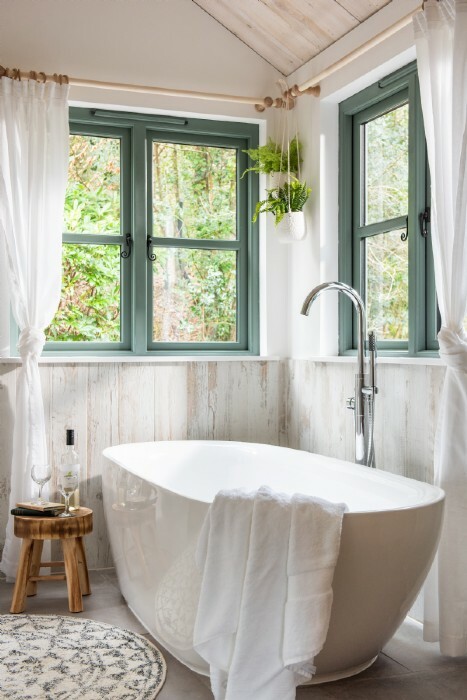 After a day exploring the moors, retreat to the large freestanding bath tub and watch dippers bob on the rocks surrounding the lake; the family bathroom also contains a waterfall shower and WC. 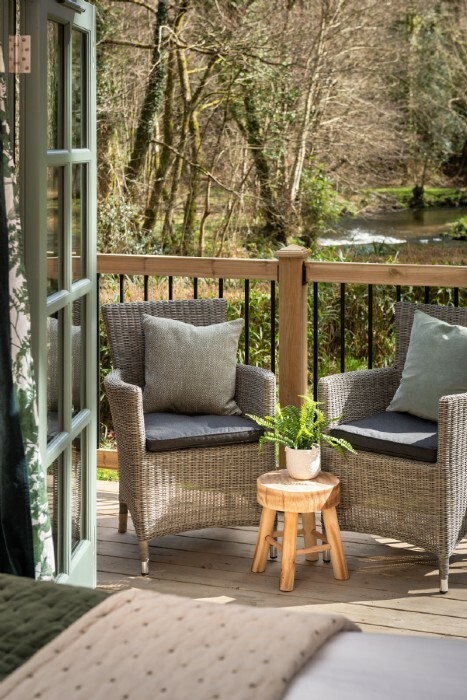 Electric-blue kingfishers make the perfect companion to an al fresco breakfast on Damselfly’s decking where the cool river flows underneath, glimmering with dappled sunlight. 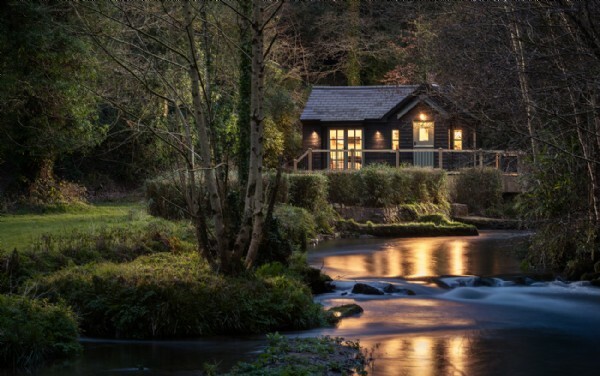 There are trails upon trails to explore from the front door, but once walking boots are kicked off and toes snug in thick socks, this magical Cornwall hideaway really starts to come to life; at dusk, settle under blankets and watch for Daubenton’s bats fluttering over the water, a rare and privileged sight for any keen naturalist. 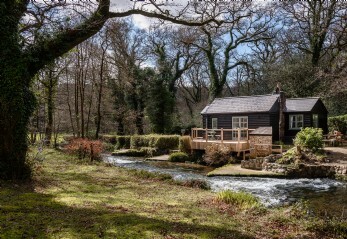 For those with a penchant for fishing, this little wooden cottage is as close to heaven as one can get. 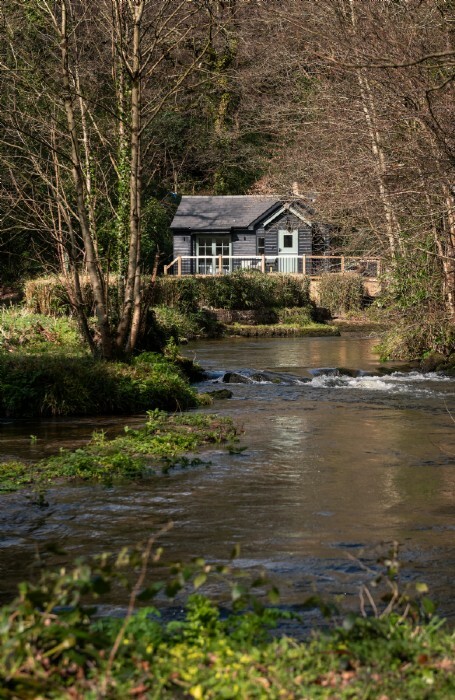 Fishing rights on both banks make this a true haven, with trout and salmon rife in the waters; don’t forget those waders! 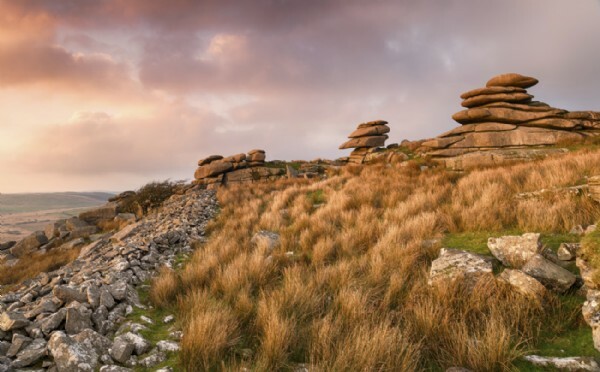 Just over the rise, known locally as Cardiac Hill, lies an expanse of moorland filled with ponies, tors and delightful gastro pubs just begging to be explored. There is private parking for two cars. 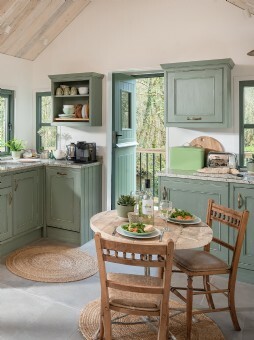 The kitchen includes a gas hob, electric oven, dishwasher and fridge, and there is a freezer and washer-dryer in the utility room. 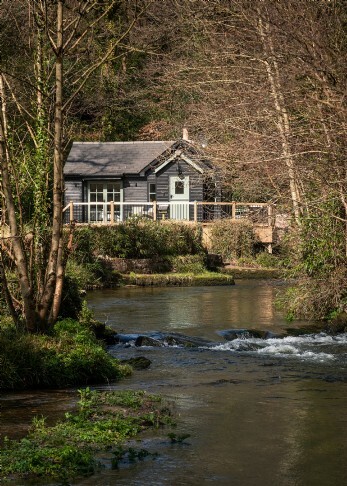 If you wish to fish for either trout or salmon (or both! 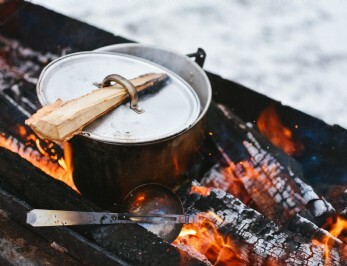 ), your own equipment and EA game fishing licence are required. Style: Fully embracing the beauty of the great outdoors, this secluded hideaway is as organic and wholesome inside as the trees bowing over the burbling river and the birds chirruping overhead. 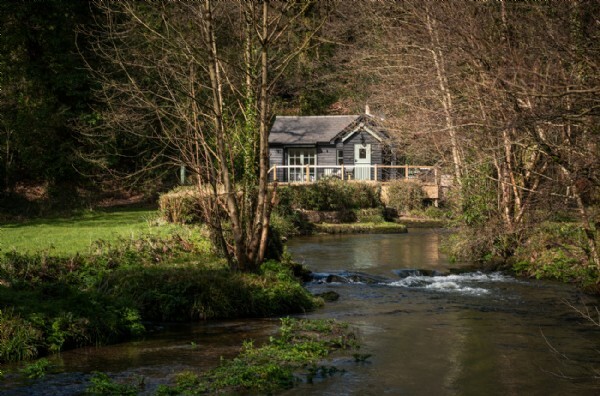 It is all about the setting of this idyllic hideaway cottage beside a babbling river, where you may spot a trout or two, overlooking a lake surrounded by birds and wildlife. 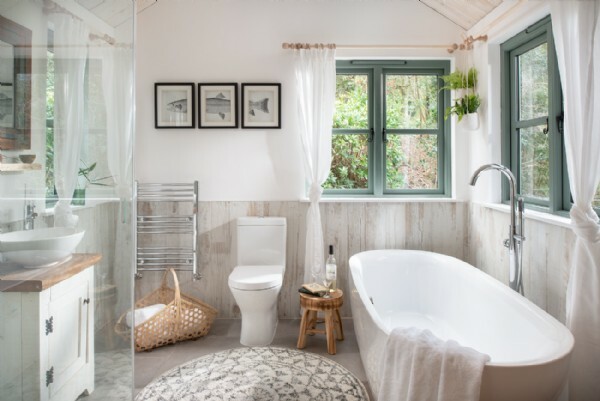 Damsefly is cosy and welcoming, and the spacious bathroom with its large tub is the perfect place to completely relax. 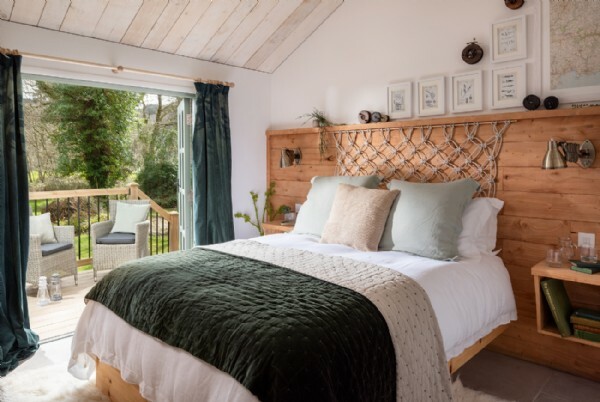 Discover places to see and things to do whilst in and around , Cornwall to truly enhance your stay come rain or shine! Don your walking boots There’s so much to see locally! 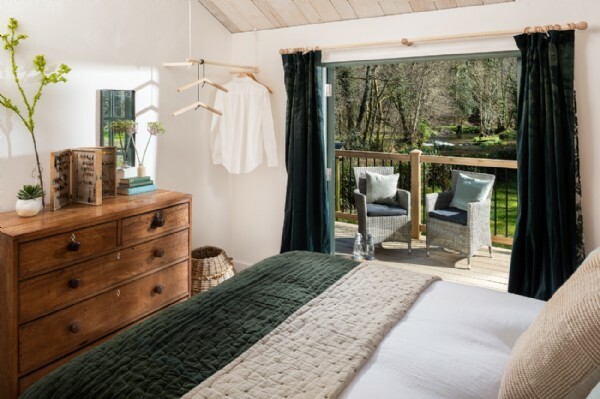 Damselfly is ensconced in truly beautiful scenery and with breathtaking moorland, woodland and riverside walks right on the doorstep, getting your hike on is easy. 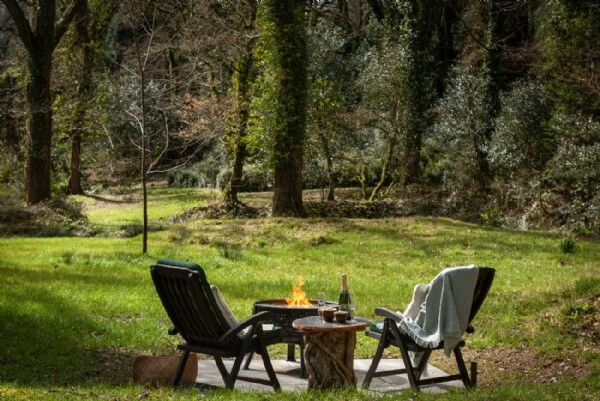 Within a few minutes of the cottage is Cardinham Woods, a tranquil setting as perfect for hikers as cyclists. 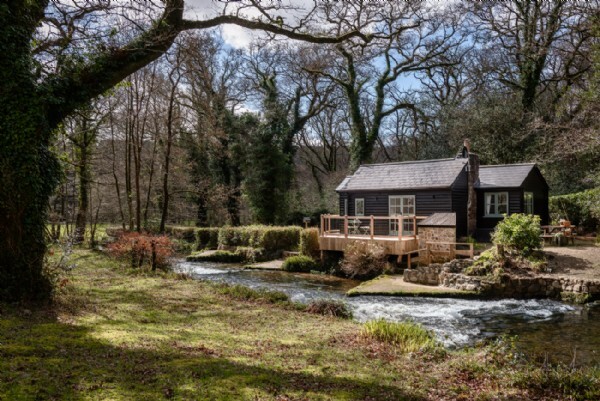 A must-visit for nature lovers is Herodsfoot Deer Park, just across the valley, where you need to keep your eyes peeled for red and roe deer! 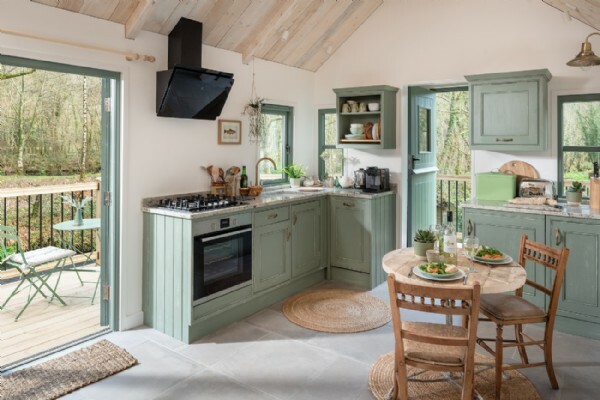 Houses and Gardens There is a bevy of noteworthy homes with outstanding gardens to visit here in Cornwall. Pencarrow, Lanhydrock and Cotehele are all within striking distance of St Neot and make for an interesting day out whatever the weather. 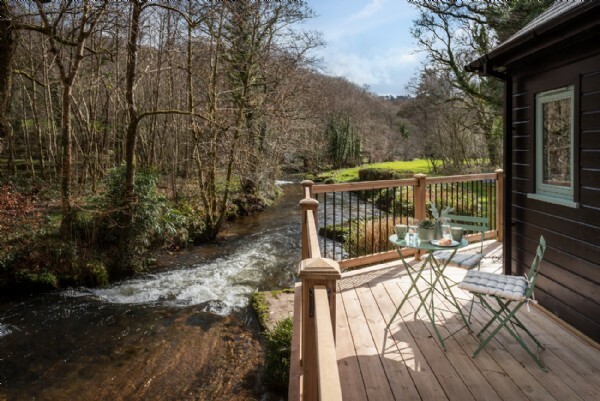 Don't miss the bluebell and wild garlic festival at Pencarrow in spring! Coastal Adventures The surf hotspot of Polzeath and yachty-Mecca of Rock are just over half an hour away from Damselfly. 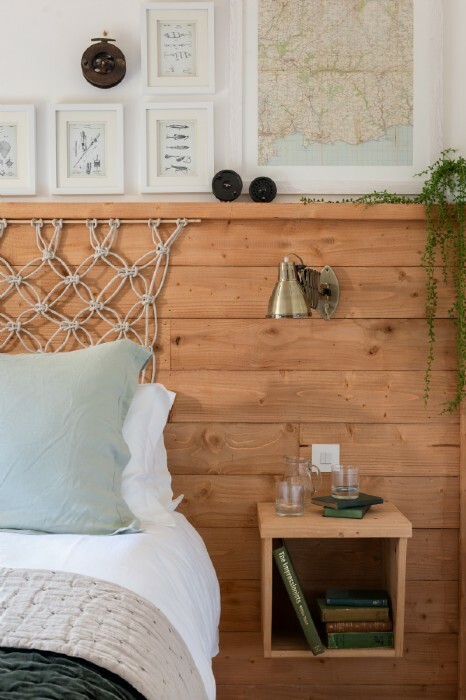 These well-heeled holiday haunts are popular thanks to their stellar restaurants and popular water sports centre. Sailing, water-skiing, coasteering and surfing will add an extra splash of fun to your holiday. Camel Valley Vineyard Enjoy a blissful afternoon at the Camel Valley Vineyard, Cornwall's largest vineyard, situated on the slopes above the River Camel. 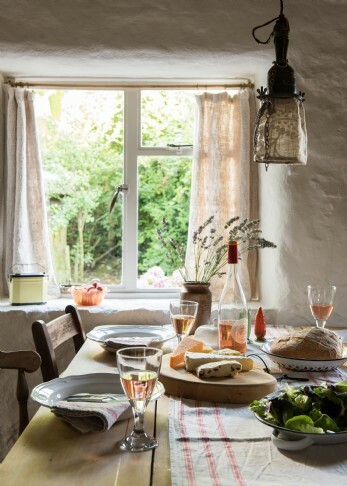 These award-winning, world-class wines have been produced in north Cornwall since 1989 and are often best enjoyed during a pitstop when on the famous cycling route, the Camel Trail, which runs from Wenford Bridge to Padstow. 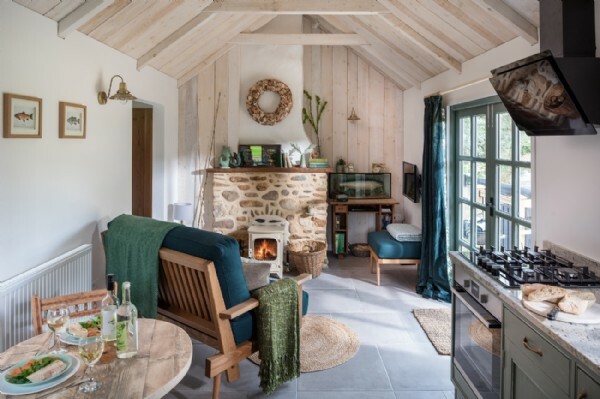 Right in the heart of the often windswept Bodmin Moor sits Trevallick's Farm Shop, where locally made sourdough bread, cakes, preserves and so much more can be gathered for a feast on Damselfly's decking. 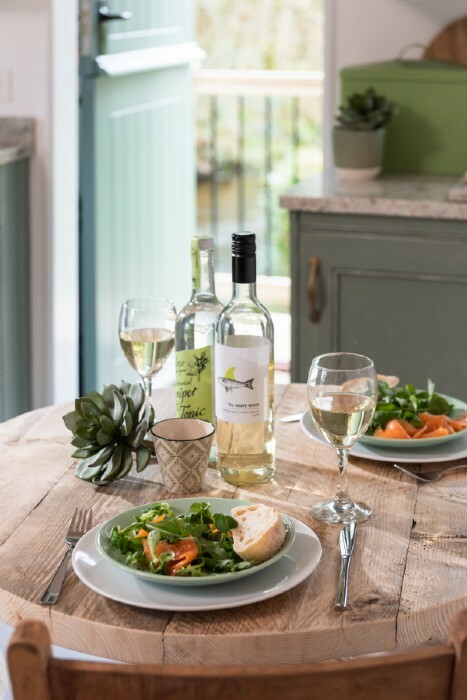 If fishing forays are successful, barbecue fresh salmon twinned with a chilled bottle of Camel Valley white wine. 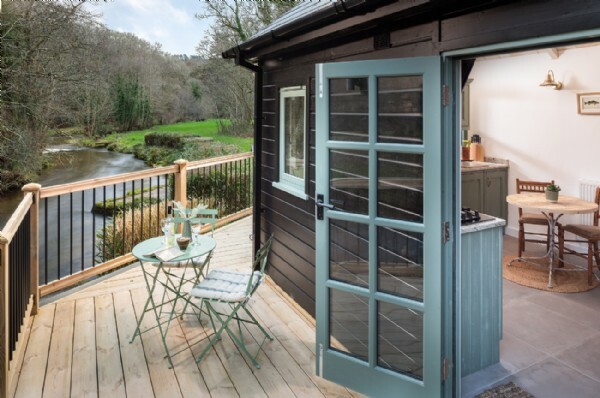 Just five minutes from this riverside cottage, in Cardinham Woods, is a hidden cottage of joy called Woods Cafe, where hearty homemade food showcasing the best of Cornish produce is served throughout the day; best enjoyed after a long stomp through the trees. 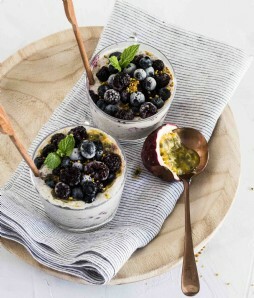 For special occasions, there is no finer dining experience than Rick Stein's The Seafood Restaurant in Padstow on Cornwall's north coast, where guests can enjoy unrivalled views over the River Camel.